The warriors will be back for more. Today, Esquire Network announced they’ve renewed Team Ninja Warrior for a second season. A spin-off of American Ninja Warrior, the series features former ANW contestants competing against each other in teams. The show, which premiered last January, is hosted by Matt Iseman and Akbar Gbajabiamila. In addition to a second season, Esquire Network will debut a five-part special during the season titled Team Ninja Warrior: College Edition. The event series will pit college rivals against each other on the show’s challenging obstacle course. LOS ANGELES – May 31, 2016 – Esquire Network continues to expand on one if its most popular franchises, “American Ninja Warrior,” with a second season of the hit competition reality series “Team Ninja Warrior.” This season will feature an expanded 16 episodes which will include the debut of a five-part special event, “Team Ninja Warrior: College Edition” (wt), featuring top college competitors going head-to-head against rival universities. Hosted by comedian Matt Iseman and former NFL player Akbar Gbajabiamila, the upcoming season of “Team Ninja Warrior” will once again feature some of the biggest names from the “American Ninja Warrior” franchise, while “Team Ninja Warrior: College Edition” will consist of teams pulled from some of the most historical and deep-seeded collegiate rivalries. The dual running course, which will be highlighted by even more challenging obstacles this season, incorporates speed, human agility, skill and a whole new strategy of racing. Both sets of teams will be comprised of three people – two men and one woman – who will battle it out on this amped-up version of the world’s most intense obstacle course. The debut episode of “Team Ninja Warrior” set records as the most watched series premiere with A18-49 in Esquire Network history, as fans tuned in to see their favorite top contenders join forces to take on the mother of all obstacle courses as a team. Throughout the season, the series continued to captivate audiences, peaking at the finale which ranked as the 2nd most-watched original telecast in network history with Total Viewers as team “Party Time” – featuring rock-climbing legend Brian Arnold; Jake Murray, a young protégé of Brian’s who trains extensively with his group; and stay-at-home-mom Jennifer Tavernier who became a break-out star on “American Ninja Warrior” – took home the trophy and title of the first winners of “Team Ninja Warrior.” Currently the season overall ranks as Esquire Network’s most watched original series in network history with Total Viewers and most-watched debut season with A18-49. What do you think? 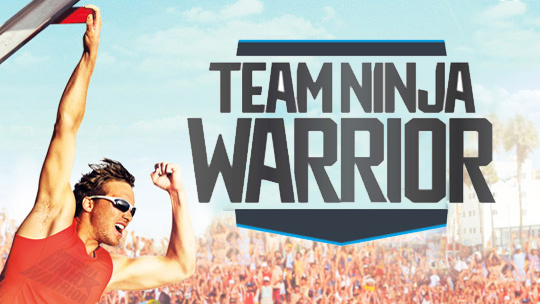 Did you watch season one of Team Ninja Warrior? Will you watch season two? More about: Esquire Network TV shows: canceled or renewed, Team Ninja Warrior, Team Ninja Warrior: canceled or renewed?